Or 6 payments of $333.17 What's this? The BC. Redefined. The NEW Atomic Aquatics BC1 is designed to be the TOUGHEST performance BC in the world. The BC1 redefines traditional BC design. Every detail was reexamined. Every material and component was rethought. The new Atomic BC1 is designed for the diver who wants the absolute BEST available. The custom matte finish fabric looks and feels unlike any other BC. The strong double-laminated polyurethane coated fabric is incredibly tough and actually SHEDS water like a raincoat. This Atomic design exclusive is the easiest tank band to use, working much like ski and snowboard bindings. Easily adapts to a wide variety of tank sizes. No more wetting a nylon web band and weaving it through a buckle. A remarkably easy-to-use design feature. Each weight pouch holds up to 10 lbs. of hard or soft weights, smoothly glides into pockets, and locks with a reassuring "SNAP". Releases with a simple tug on the handle. 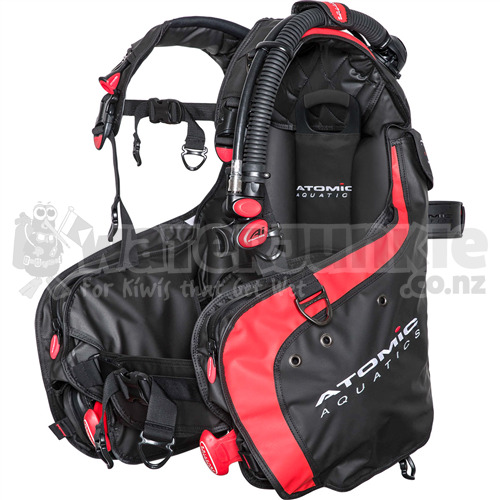 Uniquely elegant and functional, enabling a diver to adjust for the most comfortable fit. BC1 carrying handle is concealed behind the backpad. Self-sealing zipper closes completely to prevent sand or debris from getting caught in zipper teeth. Custom 316 Stainless Steel D-rings with Titanium PVD coating are corrosion-resistant and strategically placed for convenience. Each pocket holds up to 5 lbs. 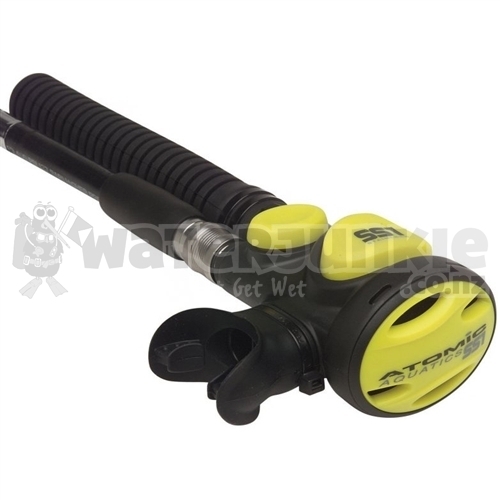 for improved diver profile in the water. Combined with the CAM-LOK tank band, the rigid molded tank pad and backpack provides ultimate tank security with CNC-Machined Stainless Steel hardware molded to the frame. Low friction 316 Stainless Steel pull dumps in two locations with patent pending Anti-Floating Pull Knob with lengthened tails. A truly elite world-class BC deserves high-performance inflation and safe second options. Dive with the innovatively designed Atomic SS1 available in Titanium or Stainless Steel. 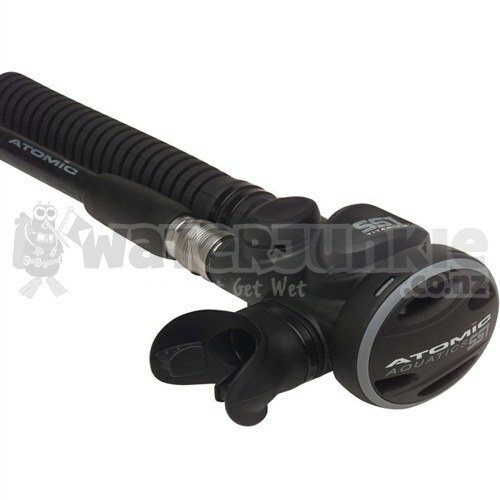 Or dive with a high performance pairing of the Atomic Octo and the Ai Power Inflator. Inflator/safe second options sold separately.